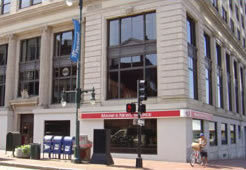 Executive Office Centers enables you to maintain a professional local business appearance from anywhere around the globe with Portland, Maine virtual office space. Our Corporate Identity package provides your business with a Portland premier street address and a professionally trained staff to provide virtual office services like answering incoming telephone and mail inquiries. Includes answering service weekdays from 8:00 am to 5:00 pm, receiving mail, 1 hour office or conference room time plus a discount rate for additional hours and Building Directory listing. Domestic and long distance telephone service included in hourly virtual office rent. Receiving mail, 1 hour free office or conference room time, discount hourly conference room rates and Building Directory listing. Receiving mail, 1 hour free office or conference room time, standard conference room rates and Building Directory listing. We’ve been providing Virtual Office Services and Virtual Office Rentals for over 30 years and understand the varied needs of the “non-resident” tenant. 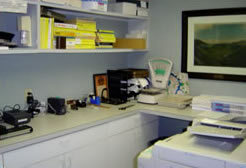 Furthermore, our Virtual Office business support services are the most comprehensive in New England. Don’t sign up with a franchise that’s never even been to Portland! Sign up with the recognized leader in the virtual office market space. If you would like to set up your virtual office now, please fill out this form or call 207-773-8890.